As a child, I would often take the Publishers Clearing House (PCH) envelopes addressed to my dad, dutifully white out his first name and replace it with mine. After slipping the return envelope in the mail, I would dream about how to spend the $10 million proceeds. Typically, plans called for my brother and sister to get $1 million each, while my parents and I would split the remaining $8 million (it may have been addressed to my dad, but I did all the working filling it out!). Fast cars, an indoor basketball court, and an offshore fishing boat were all possibilities, but taxes never crossed my mind. Though I intended to write this blog post from a private island while sipping a Brazilian caipirinha, last month’s Mega Millions jackpot (like the PCH sweepstakes all those years ago) eluded me. Instead, the winning ticket was purchased by someone in Simpsonville, South Carolina. According to USAMega.com, the winner of the October 2018 Mega Millions jackpot has the opportunity to choose between $1.537 billion paid over 30 payments with an average annual payment of $51 million, or a lump sum of $878 million. After federal and South Carolina state income taxes, the annual payments will “just” total $29 million, while the lump sum will be $492 million. To match the cumulative $870 million annuity payouts over 29 years, the lump sum will need to earn just under 2% a year. Since a 2% return isn’t a very high hurdle to exceed with a diversified portfolio, it’s hard to fault most lottery winners who take the lump sum—assuming they invest it appropriately. Unfortunately, this is far from the standard case. The media frequently cites that 70% of lottery winners declare bankruptcy within several years of receiving their windfall, a statistic which has been misattributed to the National Endowment of Financial Education. Alternately, the Certified Financial Planner’s Board of Standards cites nearly one-third of all lottery winners eventually declare bankruptcy. Regardless of which statistic is correct, the fact that this happens so often is alarming when one considers just how much money a winner receives for one correct ticket. Uncle Sam and state governments’ immediate taxation of the windfall. The IRS and departments of revenue take their share of the prize before the funds even reach a winner’s account. Going overboard with spending. Buying new homes, fancy cars, yachts, jets, etc., quickly erodes any lump sum someone receives. Falling prey to family and friends. 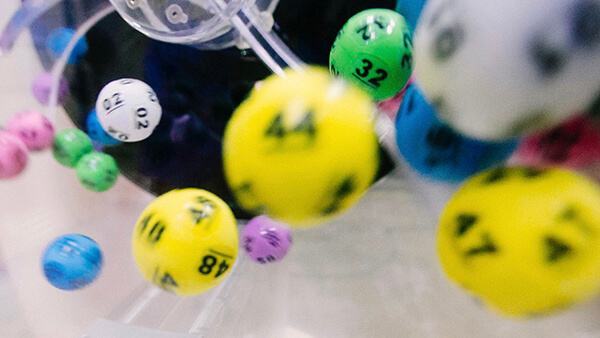 It is no surprise that shortly after the identity of a lottery winner is announced, they are inundated by well wishers offering to help them spend the winnings. Not only do winners frequently share their windfall with others, but they don’t realize the extent to which Uncle Sam taxes their generosity. Any gifts which exceed the $15,000 annual per-person limit trigger a 40% gift tax. That’s a tall order to stomach—Uncle Ed gets $500,000 to buy a new house and the lottery winner pays Uncle Sam $194,000 ($500,000 – 15,0000 * 40%) for his or her generous act. The lump sum versus annuity dilemma reminds me of investing and financial planning; much of the advice freely shared in books and on the internet is based on academic theory and historical performance. While conventional wisdom is right (i.e., investing a large windfall in a diversified portfolio leads to a larger cumulative balance), it ignores behavior. How likely is it that a Mega Millions winner will view the $492 million balance in her account and simply ignore the funds for 20 years while it compounds in value? We all fall victim to behavioral biases which lead to suboptimal outcomes. Instead, many lottery winners would be better served taking the annuity payments. Though one might miss out on investing the proceeds in a higher-returning portfolio, the annuity option provides the winner with a “redo” each year when the next check arrives. Should he make a devastating mistake (e.g., investing it all in Bitcoin at $19,000/share earlier this year), the damage would be contained since a new check arrives next year. Plus, a winner can tell her “friends” offering to help her spend the proceeds (or hucksters hyping a speculative investment) that she has already used this year’s check and there is nothing left to share. According to LendEDU, an online platform for comparing financial products, the average American spends $206.69 annually on lottery tickets. If the average American instead invested this amount in an IRA every year, the account would grow to more than $30,000 in 40 years, assuming a 6% growth rate. With the odds of winning the Mega Millions prize at just 1 in 258,890,850, I will place my bets on the magic of compound interest.